Welcome to Little Sharks Swim Academy! Please complete the following registration form. I, for myself and on behalf of my heirs, assigns, personal representatives and next of kin, HEREBY RELEASE, INDEMNIFY, AND HOLD HARMLESS THE LITTLE SHARKS SWIM ACADEMY LLC., their officers, officials, agents and/or employees, other participants, sponsoring agencies, sponsors, advertisers, and, if applicable, owners and lessors of premises used for the activity ("Releasees"), WITH RESPECT TO ANY AND ALL INJURY, DISABILITY, DEATH, or loss or damage to person or property, WHETHER ARISING FROM THE NEGLIGENCE OF THE RELEASEES OR OTHERWISE, to the fullest extent permitted by law. This is to certify that I, as parent/guardian with legal responsibility for this participant, do consent and agree to his/her release as provided above of all the Releasees, and, for myself, my heirs, assigns, and next of kin, I release and agree to indemnify and hold harmless the Releasees from any and all liabilities incident to my minor child's involvement or participation in these programs as provided above, EVEN IF ARISING FROM THE NEGLIGENCE OF THE RELEASEES, to the fullest extent permitted by law. Your electronic acknowledgment of this document indicates your understanding and acceptance of these terms. 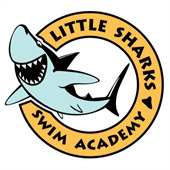 Little Sharks Swim Academy LLC is dedicated to helping people of all ages learn to swim by providing a healthy, positive and safe environment for its students, parents and coaches. We expect students and parents to fully embrace the concept of mutual respect and preparation for swimming, and thus all students, parents and coaches (collectively and separately, a "Participant") agree to the following standards. ____ 1. Any physical abuse of pool staff, instructors or other students will not be tolerated under any circumstance. This includes, but is not limited to hitting, punching, biting, kicking and spitting. Any Participant engaging in this behavior will be expelled from the swim lesson program with no refund or compensation of any sort. ____ 2. Any verbal abuse of pool staff, instructors and students by fellow students or parents will not be tolerated under any circumstance. This behavior is not conducive to learning or training. Any Participant engaging in this behavior will be expelled from the swim lesson program with no refund or compensation of any sort. ____ 3. It is the parent or guardian's responsibility to insure that their student has been physically/medically cleared to engage in waterborne activities. This includes but is not limited to evaluations for ear/nose and throat, allergies, digestive and dental issues that may preclude the ability to swim or adapt to an aquatic environment. ____ 4. Should a swim student develop physical reactions to swimming that include but are not limited to vomiting, urination and bowel movements in the pool, Little Sharks Swim Academy LLC reserves the right to postpone the student's training until that student is evaluated and cleared by a competent medical authority to continue swimming. I acknowledge that my student/swimmer may be moved to a class that is different from the one that the responsible party registered him/her for if it is determined that their ability does not match those abilities requires for said class. Every effort will be made to make reasonable accommodation to schedule, but that may not be possible. I acknowledge that I have provided Little Sharks Swim Academy with a realistic profile of my swimmer's capability in order to determine a class that is best for him or her. Further, I understand that my student swimmer will not be moved up or promoted to the next level until they have mastered the fundamental skills for their present class regardless of factors such as time spent in the class or desire to swim. -The annual fee for year around programs and the insurance fee for Summer Shark Camps are NOT REFUNDABLE regardless of how long a swimmer participates in the program. -I understand that if I leave the program that my student's spot may be given to another student and that I should give two weeks notice to quit if possible. -If a student quits part way through the month or part way through a Summer Shark Camp a partial or full refund WILL NOT BE GIVEN regardless of the reason for withdrawal. -Cancellation of classes due to pool closures may result in a refund to the participating family or it will result a credit being extended to the next month's bill. -FOR SUMMER SHARK CAMPS , THE CANCELLATION OF A CLASS MUST BE GIVEN FIVE (5) DAYS PRIOR TO THE START OF THE CLASS FOR A REFUND OR CREDIT TO BE GIVEN. Time will be determined by the time stamp on the communication of cancellation. Little Sharks will charge a $2.50 Credit Card fee per transaction, or a $1.50 fee per ACH transaction. Batches will be completed at the end of the business day from April 15, 2019-July 29, 2019 during Summer Camp Registration. All Year Around batches will be conducted the 1st of the Month. Batches will be done after the lessons program is closed for the day. Cash and Checks will be accepted at the pool during Little Sharks business hours. If you do not want to make the payment via CC or ACH, then you MUST pay at the pool the night you registered, Monday through Friday 3:00-6:00pm. Classes are not guaranteed until payment has been made. Paying for the class, is paying for the reserved spot in the program.